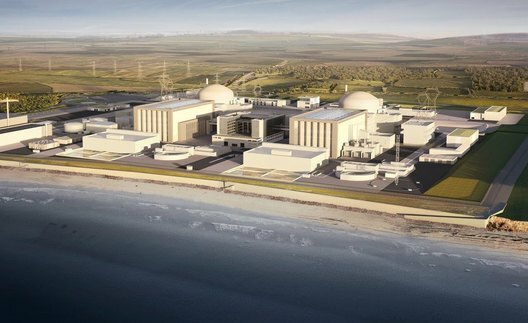 The General Court of the European Union (the EU’s second highest court) on 12 July dismissed a lawsuit against the European Commission's approval of state aid for the planned Hinkley Point C nuclear plant in the UK, which was filed by Austria and supported by Luxembourg. According to the court, the EC "did not err" in accepting the UK's position that construction of the plant is in the UK public interest. The EC in 2014 had approved planned UK government aid for EDF Energy subsidiary NNB Generation to support the Hinkley Point C project. The EC concluded that the aid was compatible with the internal market. It comprised a contract for difference, intended to ensure price stability for electricity sales and to guarantee compensation in the event of early closure of the plant. An agreement between the investors of NNB Generation and the UK's Secretary of State for Energy and Climate Change guaranteed compensation in the event of an early shutdown on political grounds. A credit guarantee by the UK on bonds to be issued by NNB Generation was intended to ensure the timely payment of principal and interest for qualifying debt, up to a maximum level of £17.0bn ($22.5bn). Austria filed a lawsuit with the European Court in 2015 seeking annulment of the EC decision. Austrian Chancellor Werner Faymann argued that nuclear power was not an innovative technology worthy of subsidy, insisting that state aid is intended to support new technologies in the general interest of all EU countries. Luxembourg supported Austria, while the Czech Republic, France, Hungary, Poland, Romania, Slovakia and the UK intervened in support of the EC. In its ruling, the General Court said the EC “did not err in taking the view that the UK was entitled to define the development of nuclear energy as being a public-interest objective, even though that objective is not shared by all of the member states”. It noted that "the objective of promoting nuclear power, and, more specifically, of promoting the creation of new nuclear energy production capacities, is related to the Euratom Community's goal of facilitating investment in the nuclear field". The court said that every member state has the right to choose the energy sources which it prefers. It added that Austria had failed to invalidate the EC's findings that it was 'unrealistic' to expect a comparable amount of wind capacity could be built over the same timeframe as constructing Hinkley Point C, given the intermittent nature of that source of renewable energy. It also said EU regulators were correct to allow UK state aid for the project because of the lack of market-based financial instruments and other contracts to hedge against the substantial investment risks in the project. An appeal can be brought before the European Court of Justice against the decision within the next two months, but only on matters of law. Austria's ministry for sustainability and tourism regretted the judgment saying it sent a wrong signal about subsidies for nuclear plant construction. It said the reasons for rejecting the lawsuit would be carefully examined, and that the Austrian government would then decide on a timely appeal.